Conservatorship For Long Blighted Building Near 20th & Carpenter? 1004 S. 20th St. has been an eyesore for as long as we can remember. For at least a decade, this home has been rotting from the inside, with foliage visibly growing out of the facade since at least 2009. Until they were torn down by PHA in the summer of 2013, a pair of homes a few doors to the south were in worse condition, perhaps distracting from the deteriorating state of the home. Today, with a very small number of blighted properties remaining in the Graduate Hospital neighborhood, this place sticks out like a sore thumb. Back when we told you about the demolition to the south, we indicated that this building had been cited by L&I. Around the same time, it went to tax foreclosure sale, but it appears that the absentee owner was able to catch up on years of delinquencies. Today, those owners owe taxes from 2016, but sheriff's sale seems like a remote possibility. Enter the conservatorship option. 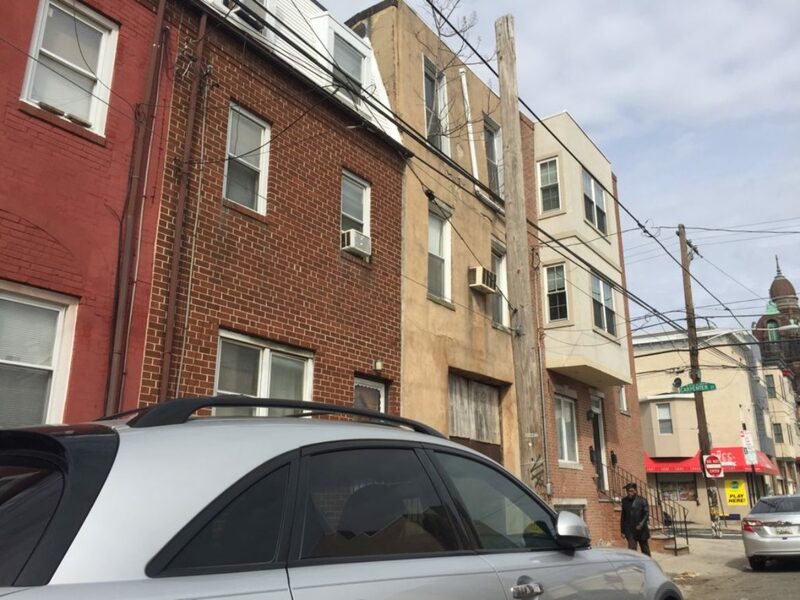 We've covered the efforts of Scioli Turco a few times over the years, describing this non-profit's successful use of Act 135 to take control of vacant and blighted properties and redevelop them. They've done projects all over greater Center City, including Point Breeze, Bella Vista, and East Passyunk. Earlier this month, representatives from Scioli Turco went before a judge and brought neighbors to testify that the property is blighted. The judge didn't believe that the petitioners met the standard and continued to case to Friday, March 3rd at 9:30am at Room 243 in City Hall. To be clear, conservatorship allows a third party to take over a property, renovate it, and ultimately sell it, but does not award ownership to that third party. The owner of the property will reap the majority of benefit from this process, receiving the proceeds from the sale of the property after construction cost and some fees. Of course, you could argue that conservatorship is a violation of property rights and that the owner shouldn't be compelled to sell their property if they aren't so inclined. On the other hand, we'd contend that an owner forfeits their decision making rights when they allow their property to bring down the surrounding neighborhood for a number of years. We're hoping the Scioli Turco is successful in pursuing conservatorship and if not, that this process will serve as a wake up call to the owners. Frankly, we don't care how it happens, whether through conservatorship, sale, or renovation by the current owners, we just want to see this building fixed up after all this time.